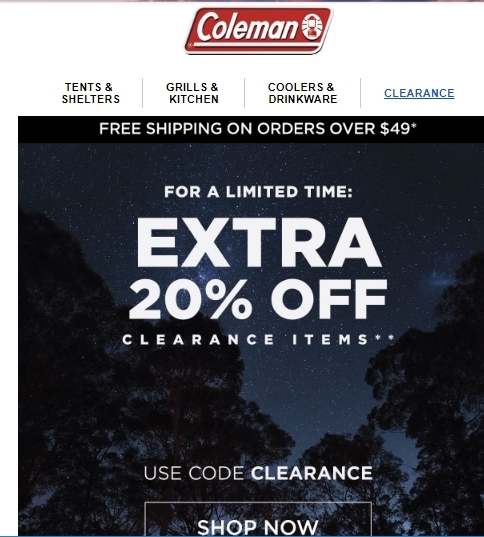 Allen Miller Use the code “CLEARANCE” at checkout and receive 20% off your purchase of regular or sale priced Coleman item(s) within the Clearance Category. 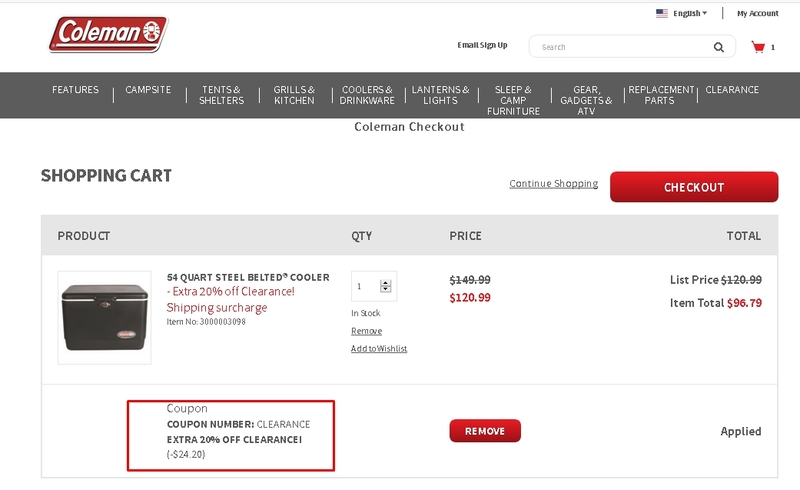 Offer valid until 6:59am EST August 17, 2018 and only at www.coleman.com. Offer cannot be applied to telephone orders or redeemed for cash.